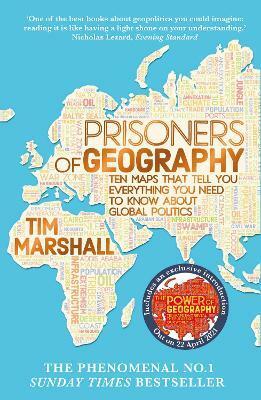 Tim Marshall is a leading authority on foreign affairs with more than 25 years of reporting experience. He was diplomatic editor at Sky News, having worked for the BBC and LBC/IRN radio. He has reported from thirty countries and covered conflicts in Croatia, Bosnia, Macedonia, Kosovo, Afghanistan, Iraq, Lebanon, Syria, and Israel. His blog Foreign Matters was shortlisted for the Orwell Prize 2010. He has written for papers including The Times, Sunday Times, Guardian, Independent and Daily Telegraph, and is the author of Shadowplay: The Overthrow of Slobodan Milosevic (a bestseller in former Yugoslavia) and "Dirty Northern B*st*rds!" and Other Tales from the Terraces: The Story of Britain's Football Chants (E&T, 2014). He is the founder and editor of TheWhatandtheWhy.com.